The latest news to come out of the internet marketing world is that Facebook has bought FriendFeed for a reported $50 million involving a cash transaction of $15 million and the rest in Facebook stocks. This follows close on the heels of the reported outright rejection by Twitter of a purchase offer made by Facebook for an undisclosed amount. The Facebook-FriendFeed deal will obviously pose a real challenge to Twitter and could possibly curtail the continued growth of Twitter in the immediate future. Speculation is ripe that the FriendFeed purchase was intended to help Facebook shore up its search engine segment as it presently is testing an update to its search utility that also features up-to-the-minute details for status updates, notes and links from users' home pages. FriendFeed presently also offers users a customized feed of a similar nature with shared content from various social networking sites such as Facebook, Twitter, Flickr and YouTube. Though it's still vague as to how these two services will be integrated, the fact is that their combined efforts should bring in a better real time search experience to the Facebook user. Facebook as we all know had earlier this year introduced several features to make its own home page profiles work much more like Twitter. Though the fight for social networking supremacy historically was between Facebook and MySpace, Twitter made its presence felt in the last year and the latter is growing in popularity by the day. With FriendFeed in its arsenal, Facebook may now take on Twitter for real time search. Many rate the technical competence of FriendFeed to be superior to that of Twitter which should sound sweet to the ears of Facebook followers. “Facebook and FriendFeed share a common vision of giving people tools to share and connect with their friends,” said Bret Taylor, the co founder of Friend Feed and the previous group product manager who launched Google Maps. “We can’t wait to join the team and bring many of the innovations we’ve developed at FriendFeed to Facebook’s 250 million users around the world…It was immediately obvious to us how passionate Facebook's engineers are about creating simple, ground-breaking ways for people to share, and we are extremely excited to join such a like-minded group." From all indications it seems that for the present, FriendFeed will continue to operate as usual with both maintaining separate entities, but will work as one to develop long term strategic plans. FriendFeed's API will also function as usual. The user base of FriendFeed is miniscule compared to that of Facebook and the utilization of Facebook will only improve the toolset of Friendfeed. Where FriendFeed really scores is on the technical front with its highly acknowledged expertise on the real time updates. Facebook could make use of this talented pool in its future growth and expansion plans. 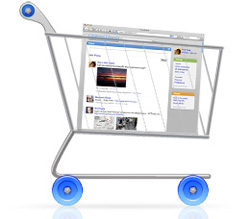 Facebook will no doubt bring in more offerings as part of the FriendFeed purchase and label it as its own. As per the agreement, all FriendFeed employees will join Facebook and FriendFeed’s four founders will hold senior roles on Facebook’s engineering and product teams. It seems that the initial reactions on the buyout have been mixed with a majority of FriendFeed users speaking against the move. Like any honourable employee, they feel that FriendFeed will cease to exist as a single entity with more and more of FriendFeed services being integrated with Facebook. But what is better? Having great technology that no one notices or having your technology used by one of the worlds biggest social marketing sites? It seems that the ultimate aim of this $50 million deal by Facebook is on the real time search market. 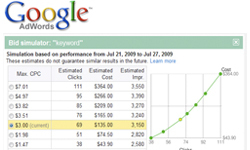 The search market is the goose that lays the golden egg. Google, Microsoft and others are constantly after it for a very big reason. 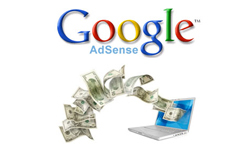 Control over search means control over dollars. Facebook is betting their seach reputation with the technical expertise of FriendFeed should signal the birth of another search giant in the near future. 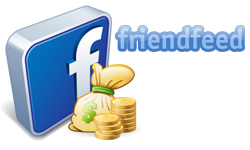 Was the Purchase of FriendFeed a Smart Move For Facebook? Facebook now owns the closest thing out there to what Twitter is. A good move for a company thats own lack of vision made the creation of Twitter possible. Hopefully it isn't too late. Facebook is sensitive to the growing clout of Twitter and feels that if Twitter is left unchallenged facebook may find the going tough soon. It could be eclipsed by the popularity of Twitter. The acquisition of friendfeed is thus a carefully orchestrated move to shield itself and steal a march over Twitter. Yet another hot acquisition, this would be interesting. Facebook is taking Microsoft’s route in buying, acquiring, merging even stealing someone’s thunder as they can’t produce it on their own. Will Facebook incorporate Friend feed potentials or just keep it as distinctly exist to heighten competition with Twitter?